Wahoo Rail is an aluminum deck rail system that will not rot, chip, warp, or rust. With rails that and posts that complement the design of your deck, Wahoo Rail is the ideal replacement for existing outdoor deck railing. 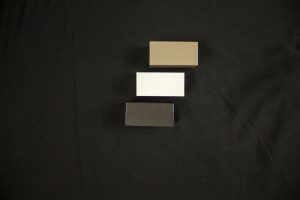 The Wahoo Rail Sample Kit contains three small rail samples in all three colors: white, mocha, and antique bronze.